Micro Sprints - Sprint Cars - Modifieds - Midgets - and MORE! Qty 1 – 7300 base valve adjustable 8” length shock in good working condition. Body has minor dings and no spherical bearing in top cap. Supan Brothers Suspension is a small company located in Concord, NC. Founded by former Quarter Midget drivers, Matt and AJ Supan, who together own 22 National Championships, the business is based on personal service and teaching handlers the basic fundamentals of set-up. "A straight racecar is a fast racecar," says Matt Supan, Lead Engineer. "But every track has its own challenges. A Handler needs to set-up a car that his or her driver can take to the front. Communication is the key." Supan Brothers Suspension is available to talk you thru your set-up questions and to help you understand how shocks can be one of the biggest key elements in getting you to the finish line. Supan Brothers Suspension specializes in helping the racer create their own shock package to win at the track! We build specific to any driver or rider or to any track. 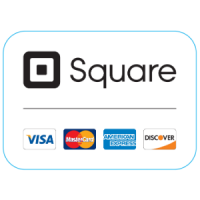 A 3% Credit Card Processing fee will be added to all orders using credit cards. If you are looking for that extra speed and would like to know more about what a customized SBS Shock package can do for your race team! Please don't hesitate to call.